Communication through shared material opens travel based projects to the best possible outcomes. Original programs tailored toward current class topic combined with group down time and fun outdoor sport and activities. Logistically planned transportation to guide you around the Spanish region of Catalonia. City airport pick ups deliver clientele from point to point in a range of vehicles covering a varied selection of class and capacity. Excellent, super helpful throughout the whole process. 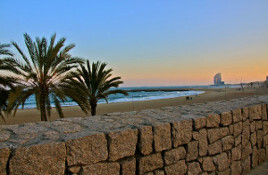 Barcelona is such awesome city with so much to do and see. My husband I couldn’t be more pleased with our time spent there. Safe journey Barcelona will be a part of our next trip with out a doubt! Safe journey Barcelona was recommended by a close family member and they did not disappoint! From the initial query handling to the actual tour-it was all amazing! Worth every penny and more! Super Kommunikation vorher und auch während der Reise! Egal bei welcher frage oder welchem Anliegen es wurde sich direkt gekümmert! So entspannt sind wir noch nie gereist !! Danke Safe Journey Barcelona . Immer wieder gerne ! Jedem zu empfehlen ! Good afternoon, Stefanie We have arrived home in Norway after having a wonderful time in Barcelona. My husband and all the guests were very happy, and I am very grateful for what you arranged for us. The Asador de Aranda was truly wonderful! My husband, who have never been to Barcelona before, suggested we make it a yearly trip😊 Thanks you so much! Ha en fin dag! Safe Journey Barcelona is an established independent inbound European travel agent and specialised incentive DMC tour operator committed to client choice and efficient travel solutions. Our ambition as an established independent inbound European travel agent and specialised incentive DMC tour operator is to provide trade transparency combined with the freedom to marry client expectation to quality original products.